The above black and white image was taken during Susan and Jack's First Look. It has a soft feel to it because I used a long lens and photographed through the surrounding pine boughs. 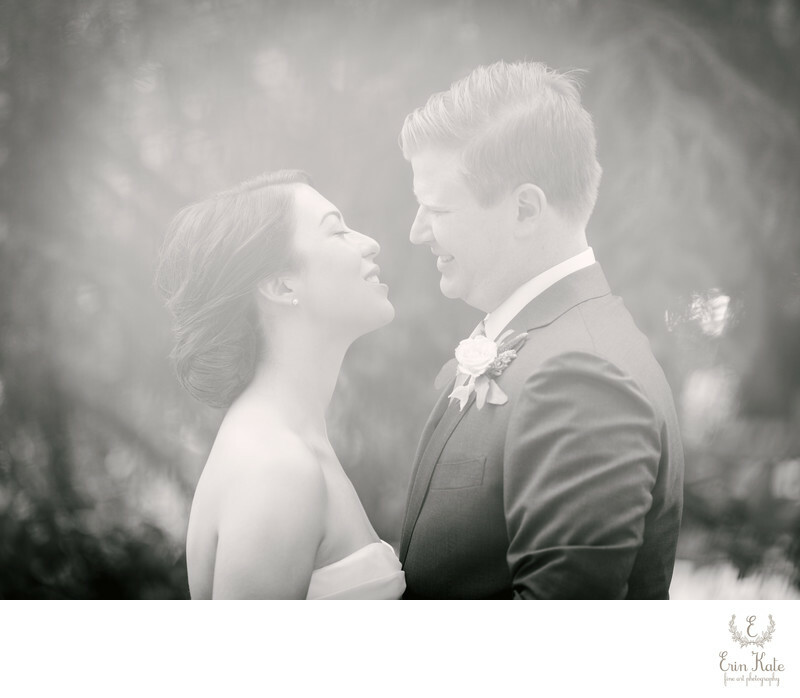 I love to give couples some space which allows me to capture those real moments between them. Susan and Jack were married at Sundance Resort. They traveled from St. Louis, Missouri to have an intimate destination wedding. 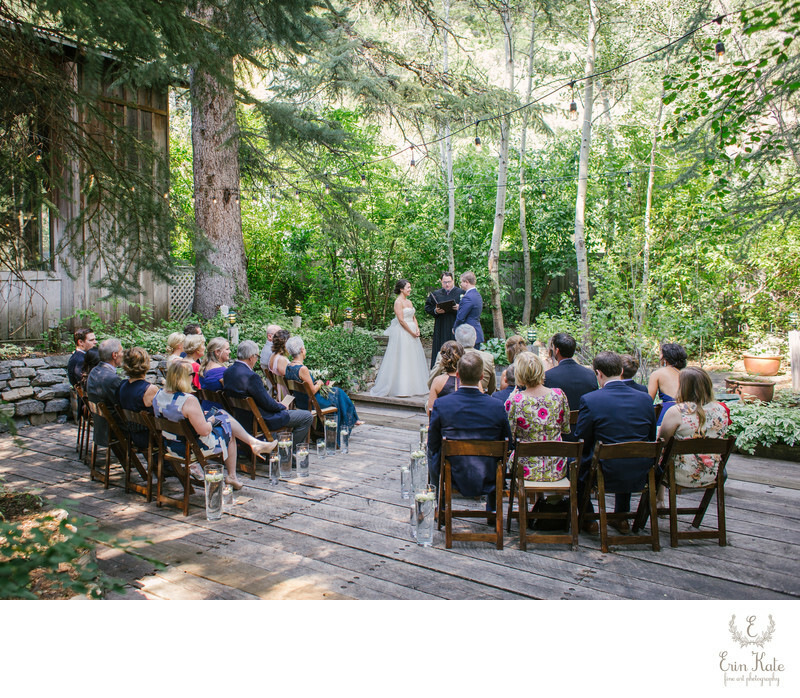 The ceremony took place on a private deck surrounded by aspen and pine trees. Susan and Jack's good friend, Honorable Judge Boyer, acted as their officiant. After the ceremony guests took their time walking to cocktail hour. Umbrellas shaded the patio for dinner, toasts, and dancing. 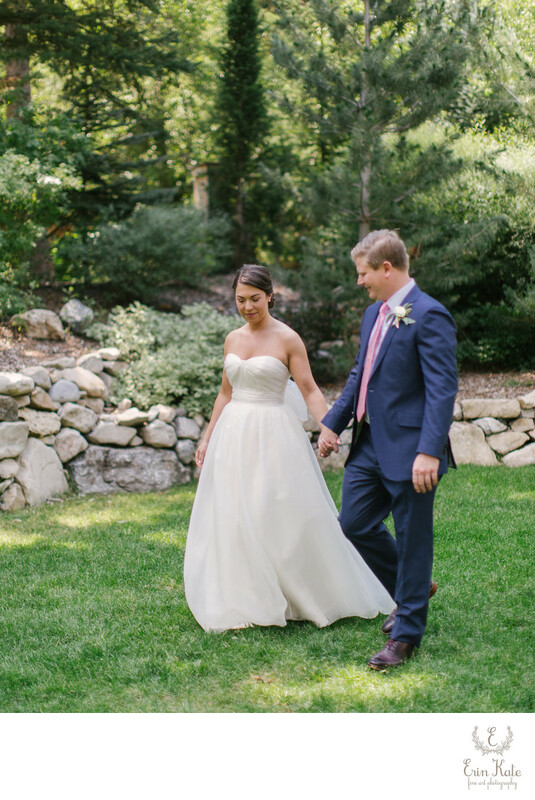 During their first look we took some time wandering the grounds of the resort. It's always nice to schedule plenty of time to not be rushed for this session. It's one of the only times that the bride and groom will have to themselves before the celebration begins after their ceremony. Your wedding day will fly by so it's always nice to complete these photographs before the ceremony when you can spend some nice quiet time together. Location: Sundance Resort, 8841 Alpine Loop Scenic Byway, Sundance, UT 84604.